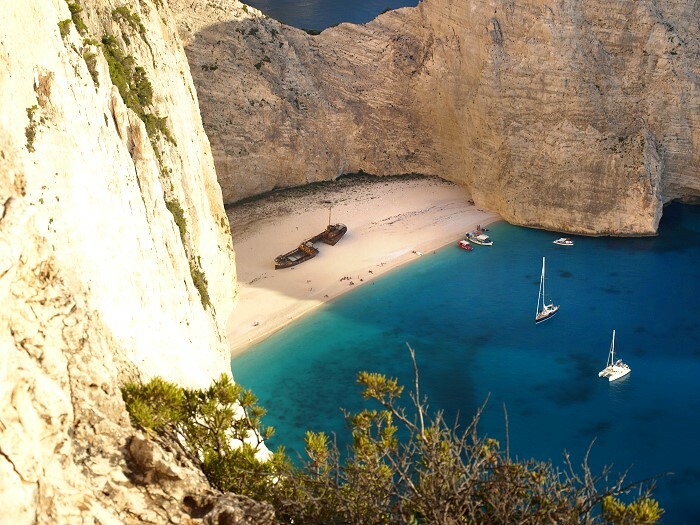 The shipwreck is without a doubt the most famous sight on Zante. 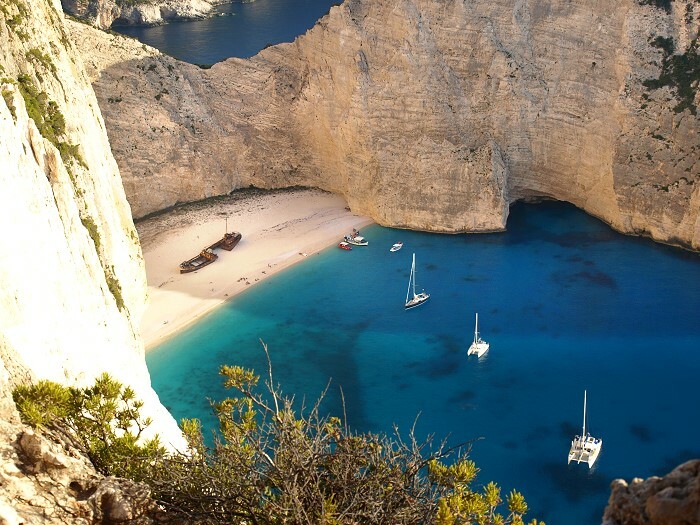 It also gets referred to as its Greek name "Navagio", as well as "Smugglers Cove". 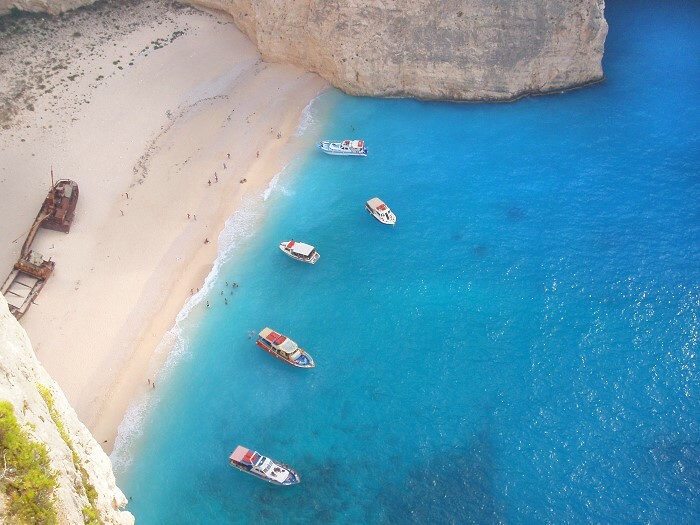 Boat trips depart from many points on the island, such as Skinari, Alykes, St Nikolaos harbour, Zante Town and make for a memorable, enjoyable day out. 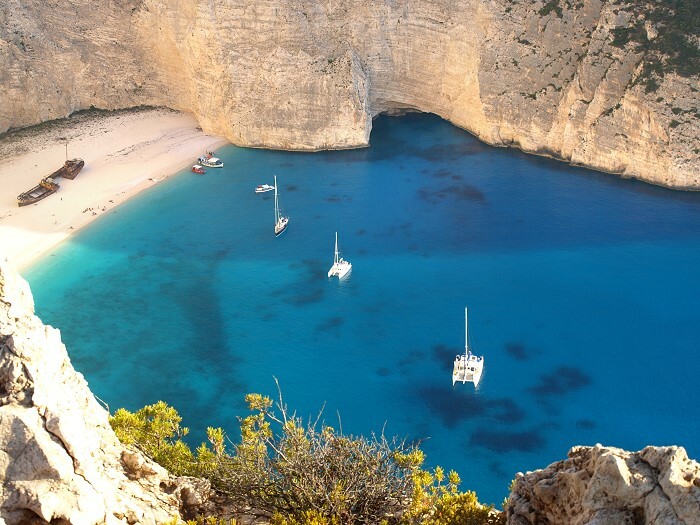 The viewing platform is near the village of Anafonitria and is accessible by car, where there is plenty of parking and it is well sign posted. 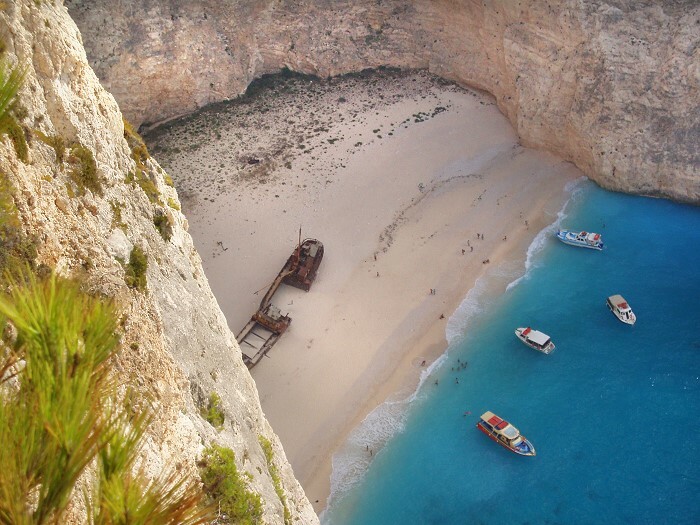 One thing is sure, the Shipwreck is not to be missed - and whichever way you choose of seeing Smugglers Cove you are guaranteed not to be disappointed - it really is breathtakingly beautiful.